Since 2011 I’ve been working on several documentary projects for the Gruppe 5 film production, based in Cologne. First as an assistant director and then since 2015 as a scenario writer with directors and producers Christel Fomm and Martin Carazo Mendez. The last production I worked on is a ten episodes documentary about the European history for channels ARTE and ZDF: „Ach Europa“. I’ve been in charge of co-writing two scenarios telling how the middle age and the Reformation time are somehow holding the European history together, through both German and French eyes. First TV screening of the Europa-documentaries in 2017 on ARTE and later on ZDF Chanel. More about the previous documentary series I’ve been working on : „Geliebter Feinde/Chers ennemis“ on ZDF and ARTE (nominated for „best documentary series“ by the Deutscher Fernsehpreis 2014). 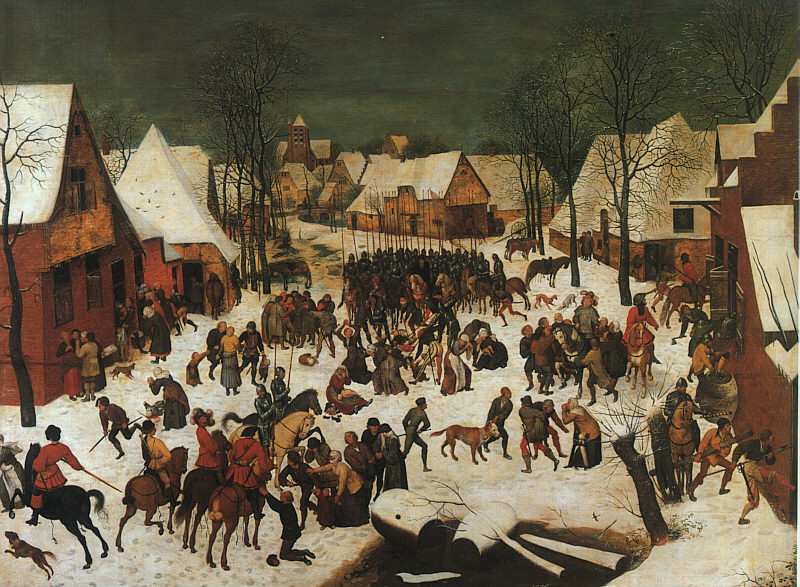 Painting by Pieter Bruegel l’Ancien, Le Massacre des innocents (1565).